Military logistics is the backbone of any military operation. It handles the ammunition transport, medical services, and equipment maintenance for military personnel [NATO Logistics]. Therefore, proper coordination is vital to managing the distribution of supplies, especially during missions properly. So, it would be ideal to utilise reliable computing devices to improve the communication between military logistics personnel. Apart from its ruggedised components, this computing equipment can also work best with projected capacitive touchscreen technology feature. An S12 industrial PC with projected capacitance enables the operator to access an application on the screen monitor easily. This type of feature allows the user to tap or pinch the screen monitor when utilising a specific application. What’s more, operators can even use these devices even when wearing gloves. Thus, this equipment offers better touch functionality. 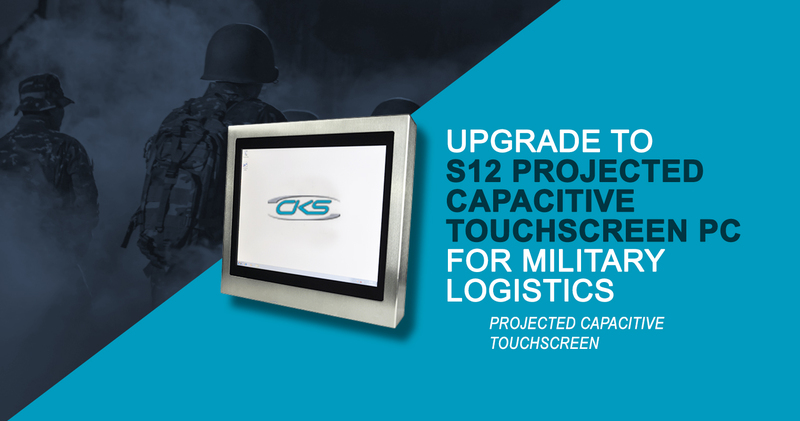 Now, can this touchscreen panel PC meet the need for faster and more streamlined military logistics operations? Learn more on this blog about the benefits in utilising the S12 panel computer with projected capacitance to improve military logistics. Successful military operations depend on strategic planning and proper logistics support. It is essential that the logistics personnel must adequately coordinate with one another. So, installing rugged panel PCs, with projected capacitance, can be used not just to communicate. However, it can effectively be utilised to track the items on record despite the long work hours. Moreover, this military-grade 12″ touchscreen panel PC is also built with a Watchdog Timer system. This feature can continually monitor the internal operating temperature. It also can detect system errors and initiates a corrective response should program conflicts to occur. Hence, it prevents to hinder or suspend any military logistics operations. So, how can this device be used to optimise military logistics further? Let us explore more about the technical features of the military panel PCs. Military logistics personnel operate within a strict deadline requiring a reliable device to fulfil its mandated functions. Having the key features 12.1” industrial PCs have, it helps the military logistics to fast-track its operations efficiently. Take a look at how this industrial-grade computing device can speed up military logistics. Projected capacitive touchscreen displays are built with a tempered glass layer. This layer has a 5H hardness rating with a 91% transparency rating. This will prevent common hazards present in military environments, such as heavy machinery and metal objects from damaging the screen. Thus, logistics personnel can use a smooth and responsive computer interface. Logistics operations require machines that can analyse large volumes of data. However, this device can come with an Intel® Baytrail-M/D™ J1900 2.00Ghz motherboard processor. This processor has access to Intel® Hyper-Threading Technology which provides the fast and reliable processing speed for military logistics operations. The S12 industrial computer is ideal for operations which require a reliable communication system. This device has access to secure Wi-Fi connection which will allow personnel to coordinate logistics support transactions using a secure channel. Proper logistics support is the crucial element for a successful military mission. Having an S12 rugged computer installed in the military can help manage different logistic operations. Moreover, its industrial-grade components and program error restoration system can also streamline military logistics operations even the harsh working environment. So, contact a reliable industrial computer manufacturer today and embed the S12 panel PCs to fast-track military logistics operations.